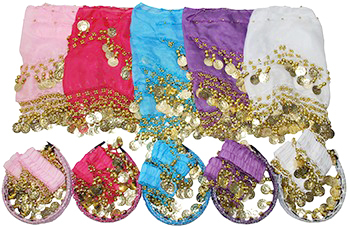 Your little princesses will look adorable in these child size chiffon hip scarves with beads and coins with matching stretch coin bracelets, and comfortable coin headbands. 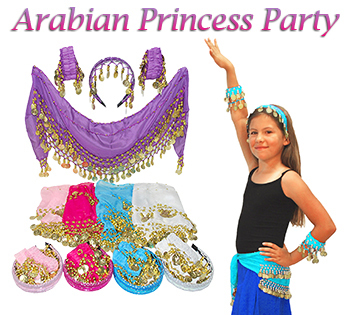 Get your fantasy party started with this convenient Arabian Princess Party Accessory Kit! 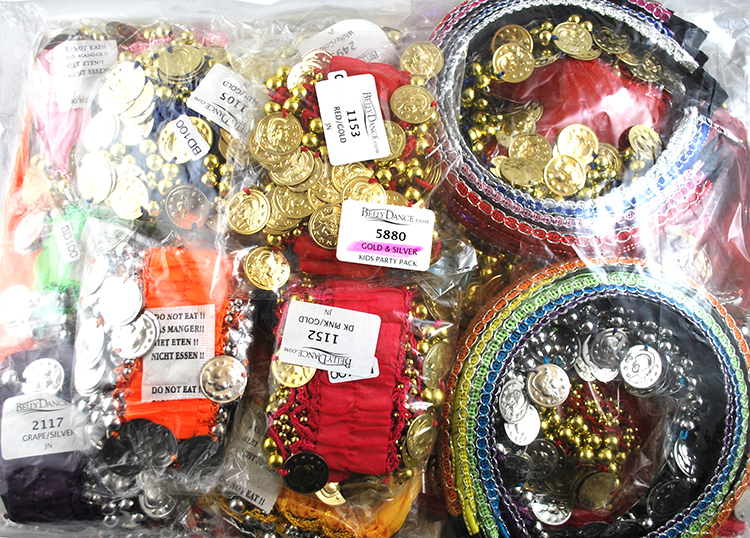 Your little princesses will look adorable in these child size chiffon hip scarves with beads and coins, matching stretch coin bracelets, and comfortable coin headbands. 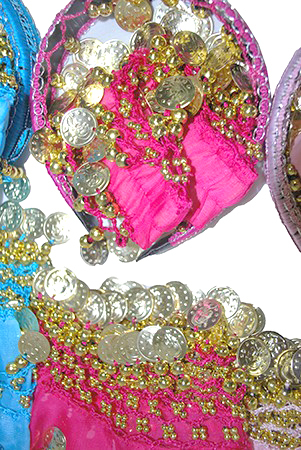 Each package contains ten sets total of Purple, Turquoise, Red, Blue, and Fuchsia colors with gold coins. Great for your next birthday party, Halloween party, and more!